When we are in a peaceful state of mind, we attract exactly who we need in our lives at exactly the right time with ease. Slow down, observe the synchronicity in moments, and trust that there is a flow of grace that draws us directly to where we are meant to be. We all have heard of love at first sight. It happened to me the instant I saw my husband for the first time. But, outside the romantic realm, have you ever felt, upon seeing a person for the first time, whether by happenstance or by plan, that you were destined to meet him or her and for it to mean something in your life? This happened to my husband and me while on vacation in Paris on the occasion of our 14th wedding anniversary and the 70th anniversary of D-Day. We were staying in the Madeleine district of Paris. We stopped by our favorite café late one night. The outdoor tables were all taken, so we walked inside. We both felt the hot and humid air inside the café and immediately turned to walk out when we both spotted an elderly gentleman sitting inside the café by himself. He was dressed in the full dress uniform of the French Special Air Services. He was wearing a navy blue jacket made of heavy wool, silver medals and a red beret with brightly colored badges on the side. My husband and I looked at one another, turned around and proceeded to sit down at the open table next to his. We just knew we were destined to sit with this new friend. We didn't discuss with each other whether to stay or otherwise communicate. In that instant we mutually experienced synchronicity and destiny. On June 5, 1944, the tidings of World War II turned in France. I have always been fascinated with the Normandy invasion, because both of my parents, who were born and raised in Europe, were children amidst the struggles of World War II. My father suffered shrapnel wounds in his leg in his hometown of Rome, and my mother remembers hiding under a mahogany table in her cold basement as a small child when the air raid sirens blared in her hometown on the coast near New Castle, England. My parents met in New York City in the late 1960s, fell in love, stayed, married and had three children in the U.S. We grew up watching World War II romance movies, and every week we were reminded of how fortunate we were to grow up in America in safe conditions. I have always been a romantic, and have always believed in love at first site, destiny and the miraculous. I must admit though, throughout my twenties a longing for true love seemed to haunt me. The single life of living in New York City can be so very lonely. We are conditioned physiologically to ache for partnership. The void that one can feel when longing for intimate connection is quite primal. If we allow the mind games to play out when our souls are yearning for intimacy, we just multiply the fear of being alone. Yet, when we trust that there is a higher force at work, and we surrender into the flow, we can experience the excitement that is in store. Life can be full of adventure when we observe that every moment is a part of a much bigger design. It never surprises me when I meet someone who has something very profound to share with my heart. It is just part of the divine orchestration, and even our challenging moments are opportunities for growth and expansion on our life's journey. The miracles flow into our lives when walk in the flow of our destiny. How do we know when we are moving in the right direction? The light appears on each stepping stone that is in alignment with our highest potential, and we feel the harmony in our hearts. The mind will never show us the way, but the whispers from the heart are songs of pure magic. Cayron Jean-Bernard was our new friend. He was adorable. Cayron was ninety years old, and his English was rudimentary, as was our French. Still, we were able to connect so easily and deeply. Occasionally, our beautiful waitress with the big smile translated for us in her lovely French accent. Cayron was on his way back from the ceremonies in Normandy commemorating the 70th anniversary of D-Day. He is one of a handful of French survivors from the Normandy Invasion. Cayron parachuted in behind enemy lines. He told us how frightening it was. He was just 20 years old and petrified. It touched me deeply when he shared with us how he felt the hand of God supporting him the entire time. He had tears in his eyes when he shared his story with us. My husband and I had tears, too. We felt such a deep love for Cayron. He felt it for us also. It was profound. For a brief moment that evening, it felt like he was someone we had always known. Cayron shared his life story with us. He was a hero. We were part of his life, and he was part of ours, and yet we had just met that evening in a cafe three thousand miles from our home. When we hugged Cayron and said our goodbyes, he put his hand to his heart. Then his eyes filled with more tears and he directed his hand to my husband's heart, and then that same hand to mine. In French he said, "We are connected in our hearts." 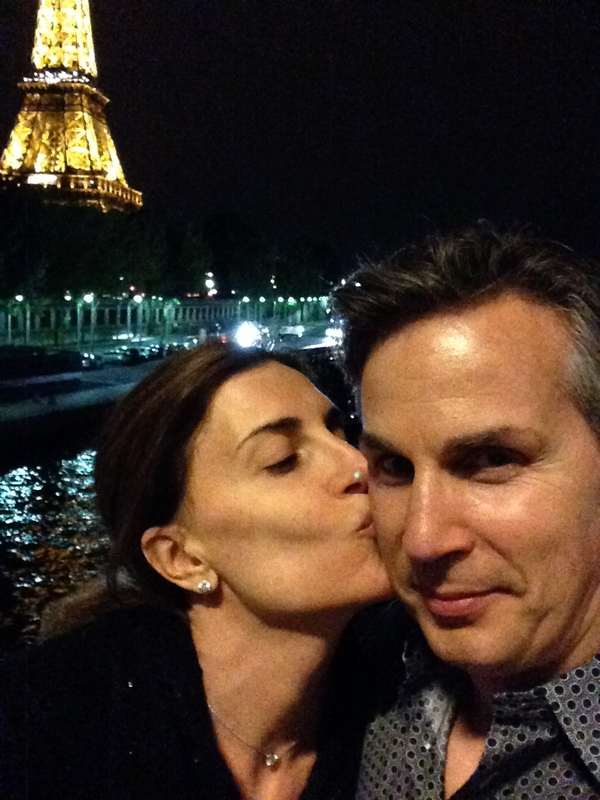 My husband and I were speechless, and we stayed in quiet contemplation as we walked back to our hotel on that hot evening in Paris. We were in awe. The universe draws hearts together when we are ready for the integration of alignment. It is in the allowing that the miracles unfold, and they can happen in an instant. When we look at life as a journey that follows the inspirations of our hearts, we can trust that the perfect people enter our lives at the perfect time. Trusting life by seeing the opportunity for growth in all personal encounters reminds me of the ocean. Flow, rhythm and ease of movement. There is such a beauty in recognizing that all encounters are gifts. When we are in a peaceful state of mind, we attract exactly who we need in our lives at exactly the right time with ease. Slow down, observe the synchronicity in moments, and trust that there is a flow of grace that draws us directly to where we are meant to be.